Minnesota was once a peony power. When the University of Minnesota Landscape Arboretum announced it was sponsoring a contest to name 10 plants that changed Minnesota, my first thought was…Asian milfoil? Creeping Charlie? But enough of that late-winter negativity! The U is looking for plants that improved Minnesota’s landscape, and fortunately, there are plenty to consider. My garden is full of Minnesota hardy plants, many of which are the result of breeding efforts from the University. Here’s my personal list of garden plants that might merit inclusion on the 10-best list. ‘Haralson’ apples. ‘Honeycrisp’ apples are the darling of Minnesota growers and eaters—and for good reason—but some of the early apples developed here built the state’s apple business. Haralsons are a reliable cooking apple that was introduced in 1922. Apples were crucial to the development of gardening in Minnesota and led to the formation of the Minnesota State Horticultural Society. Northern Lights azaleas. Introduced by the U in the 1980s, these beautiful spring-flowering shrubs are often seen in foundation plantings and come in pink, rose, white and yellow. Rock-solid hardy, these plants can grow to more than six feet tall in the right circumstances. Azaleas and rhododendrons like a bit of acid in the soil and do better planted near evergreens, I’ve found. Minnesota peonies. Not many people realize this, but in the 1920s, Faribault was “The Peony Capital of the World.” (Scroll down this link for a great picture of the peony queens circa 1927!) Fields surrounding the city were filled with peonies grown for the Brand Peony Farms, which introduced dozens of hardy peonies for Minnesota gardeners. 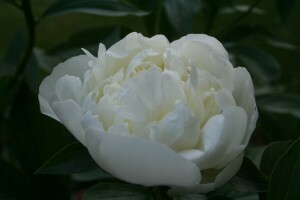 Our historical connection to peonies makes them worth including. Also, peonies last forever – 100 years in the right circumstances. ‘Cardinal’ dogwood. When the landscape is snow-covered (remember last winter? ), the Cardinal dogwood stands out like a red beacon. The stems of this hardy shrub are red when young, making it a star in the winter landscape. To add to its appeal, the shrub has pretty white flowers in late spring and is attractive to birds and butterflies. Native trees. How can a native tree change Minnesota? Weren’t they here first? True, but as more homeowners plant native trees (and a variety of them) to reduce the amount of water needed to keep landscapes green, the better our yards and gardens will endure whatever weather our Minnesota climate throws at us, now or in the future. My favorite natives are the northern pin oak (so stately), white pine, tamarack, linden, and maple. Which plants do you think changed Minnesota for the best? Note from 2018: The book came out in 2017 and only apples and pines from my list made it. I’ve lived in Faribault since 1984 (native of southwestern Minnesota) and have never really heard much about the peonies that were once a major attraction here. It would seem to me something like that should be touted, just like Faribault being the home of the Tilt-a-Whirl. That said, our community has much to offer gardeners with the historic Farmers Seed & Nursery located here along with Donahue’s Greenhouse (which draws customers from far and wide) and several other superb local nurseries. We have a beautiful, historic downtown with many quaint shops and a wonderful art center. Cheese is aged in caves here and sold in a downtown retail outlet. Yes, so much in a community once known for its peony farms. Thanks for including peonies on your personal list of plants that changed Minnesota. Audrey — thanks for commenting. I agree about Faribault having a lot of surprises. I get all of my shoes from Burkhartzmeyer’s and always stop in the coffee shop downtown when I am there. The historical society in Faribault has some great photos of the peonies, if you are ever there.